As uncontrollable blazes, often fueled by different types of weather, dry underbrush and wind, wildfires burn land by the acres and take over everything in their paths. Wildfires or wildland fires occur in the countryside or rural areas thanks to the abundance of combustible vegetation. Those living in hot, dry climates consistently face the threat of damage or destruction of property, homes, and both human and animal life by wildfires. Clearing dead trees, creating a fire-free area, properly storing flammable materials and other fire prevention tactics help protect the outside of your home. Similarly, installing vents and fire-resistant roofing and window treatments protects the inside of your house as most homes catch fire from embers. Equally as important as fire prevention but often overlooked, these three wildfire safety tips help protect valuables and irreplaceable items during a home evacuation. 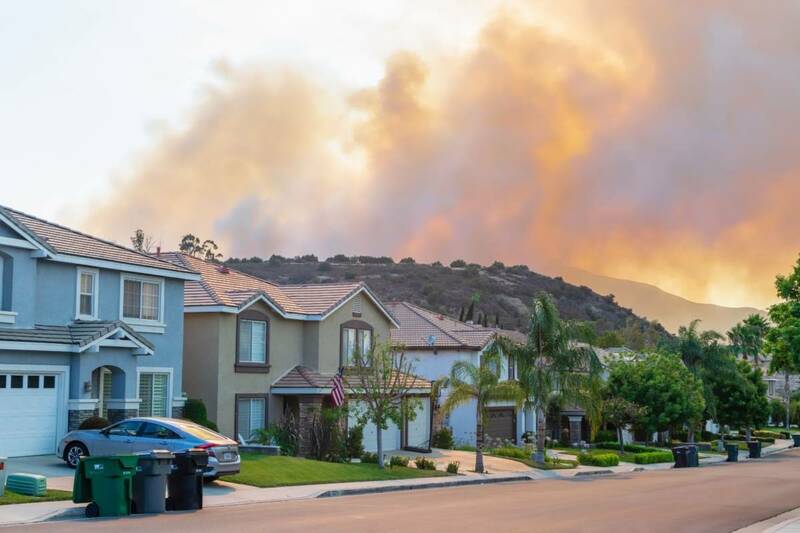 Since wildfires spread quickly and uncontrollably, first determine what is valuable or irreplaceable to keep these items safe should you have to evacuate. For many items, value may be easily based on purchase or resale price. In other cases, consider irreplaceable items highly valuable. Examples of valuables in your home include personal or work documents, electronic files, identification cards and documents, ownership deeds, titles or contracts, and family photos and prints. Consider the conditions of a wildfire evacuation you and your family may face when evaluating your home valuables. Create a home evacuation checklist and identify several escape routes. If you have dependents under your care, like children, the elderly or pets, focus on what is required to ensure their safety. It is likely that time will be limited in the event of an evacuation, so proactively prepare by using a portable storage solution. It may be difficult to take valuables with you during an evacuation, so a fire-rated storage method lets you leave irreplaceable items behind. Use a fire-rated home safe to keep valuable items protected from a wildfire. A home safe protects irreplaceable and important documents if you’re forced to evacuate as wildfires spread. Depending on the severity of the threat, taking valuables with you as you evacuate may not be possible. Having items properly secured and protected gives greater peace of mind and lets you focus your energy on ensuring the safety of yourself and others. Similarly, storing valuables in a portable safe easily protects and transports items you need in an emergency. Keep a portable safe near an exit to easily grab it as you prepare to evacuate. Or store a portable safe in your vehicle for additional protection while you use temporary or emergency housing. Safely secure cash, emergency credit cards, prescriptions or medications, electronics and jewelry with a portable or car safe during a wildfire evacuation. Protect your valuables with a home or portable safe in the event of a wildfire and home evacuation. Learn more about the Cannon Safe brand promise and how you can choose the right safe for your needs. Browse the Cannon Safe home safe collection.